Step 1: Request a free consultation with a special education tutor. Step 2: During the consultation, a special education tutor will answer your questions, provide guidance and gather information to help formulate a plan ensuring your child reaches their goals and academic excellence. Step 3: Once the plan is completed (usually 24 hours after the call), we will get back in contact with you to review the options. Keep in mind, the best course of action for your child doesn’t always involve special education tutoring. If this is the case, we will always do our best to point you in the right direction for you and your child. Step 4: Once an option is chosen, we get you enrolled and schedule the tutoring session(s) with the special education expert that most closely matches the needs of your child. Once the first appointment is scheduled, you will receive a link to an online meeting. We recommend allowing a few extra minutes to login for the first time, as there may be some software to download. Once the meeting begins, you will be able to see and hear your tutor through your computer (or call into a conference line if that works better for you.) Your tutor is able to share documents, worksheets and any other tools necessary. If your child is working on a specific assignment or particular curriculum, we will ask that you email the needed information ahead of time. Everything is LIVE from the comfort of your own home or any other environment that’s comfortable for you and your child! At the center of everything Special Education Resource does and believes in is Care. Everyone that’s part of the Special Education Resource family is here because they believe in the mission, they believe in children and they want to make a difference. The most frustrating thing about a lot of educational organizations is their lack of communication and timely follow up. Special Education Resource thinks differently than most other organizations, we believe that communication is a fundamental need shared by everyone. We will always do our best to follow up in a timely manner (within 24 hours) and keep you in the loop regarding the progress of your child. All feedback from you is not only greatly appreciated, but encouraged! The mission of Special Education Resource is to to show that a label doesn’t have to define a child, it simply proves that all children learn differently. This concept, started by our founder Suzie Dalien is shared by each person in our extended family. Here commitment to excellence is shared between the Student, their parents / guardians AND the special education tutor. 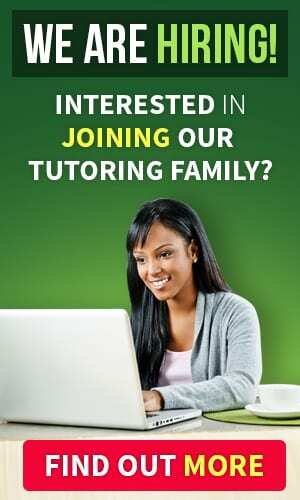 By getting to know you, your child and their needs, we’ve created a strategy of placing students with the tutor that best fits their needs. However, if for any reason the predetermined results are not achieved, we will make it right. 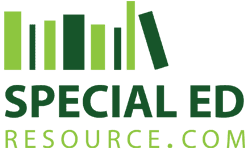 Special Education Resource stands firm on the belief that we can help make a difference and will go the extra mile to ensure this is achieved. 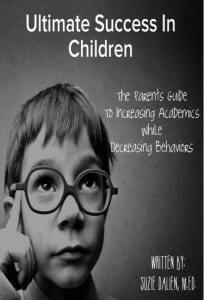 Many parents have grown weary of the sharp decline found in public school systems and are searching for alternatives. Special education tutoring takes the curriculum your child is currently learning and adapts it to fit their specific learning needs which has proven to increase test scores and decrease behaviors often associated with the frustration caused by being overwhelmed academically.